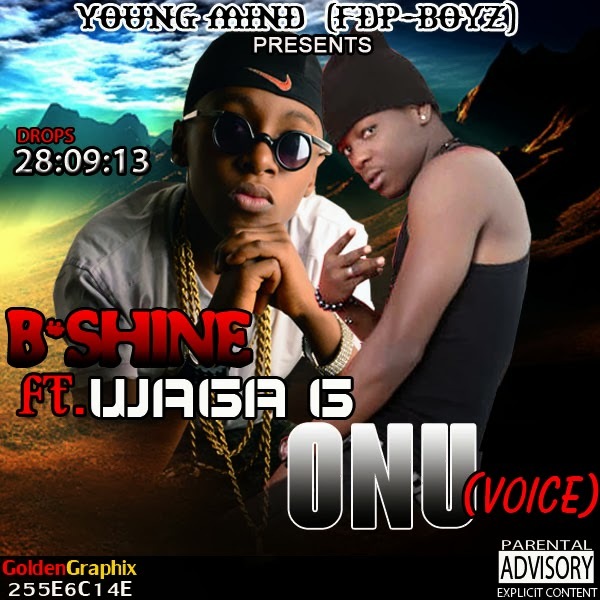 UB MUSIK } B-SHINE “ONU (VOICE)” FT. WAGA G.
You are at:Home»DOWNLOADS»MUSIC»UB MUSIK } B-SHINE “ONU (VOICE)” FT. WAGA G.
The youngest Enugu based 10yr old rapper, B-SHINE comes in hard on this joint, “ONU (VOICE)” with WAGA G. on it. Young B-Shine has been consistent and he’s vocal delivery grows stronger by the day, He did an excellent job on this joint, you should d’load and bless your eardrums with it. Be on the look out for this young blood as he boils up.